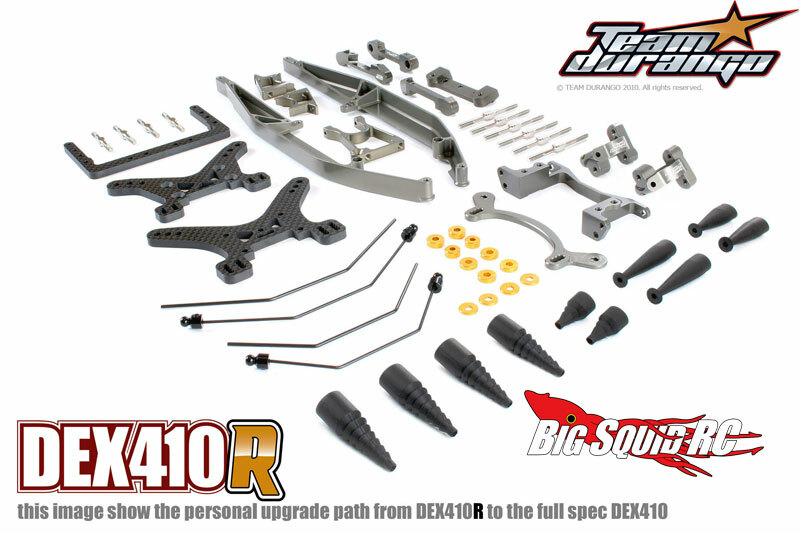 Team Durango DEX410R « Big Squid RC – RC Car and Truck News, Reviews, Videos, and More! 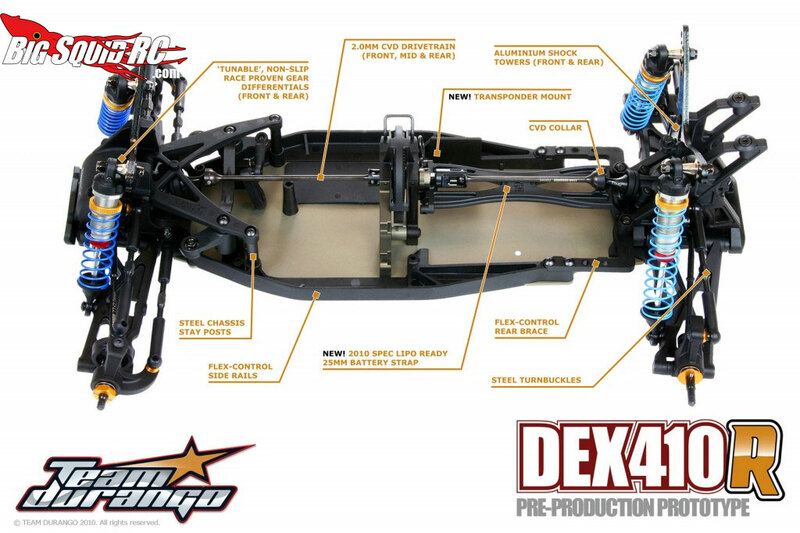 Since our posts a short while back about the Team Durango buggies had people drooling, the only issue people had were that the costs for us ‘non racer’ types was a bit steep to take the leap into one of their works of art. Well they have now announced the DEX410R which shares all the same Team Durango DNA and performance, but with a little more ‘regular’ spec. In other words, not covered in uber carbon fiber and aluminum. What’s really cool is they have a way that you can upgrade everything overtime to get that uber dream vehicle! Drop by the official Team Durango site for more information.